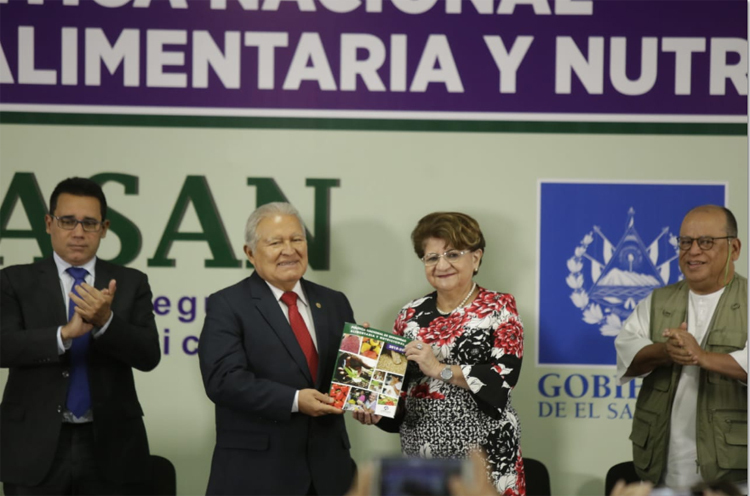 The President of El Salvador, Salvador Sánchez Cerén, launched the National Food and Nutrition Security Policy for 2018-2028, which was designed by the National Council of Food and Nutrition Security (CONASAN). 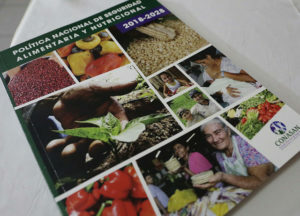 The policy is “a strategy created following widespread public consultation, with a country vision that aims to meet the population’s food needs,” said Mr. Sánchez Cerén. He added that this tool aims to improve the availability of food in the country by strengthening production and productivity, stabilising prices and increasing the minimum wage to boost families’ purchasing power and ensure they have access to adequate food. The policy will provide comprehensive support for the population, with a focus on vulnerable groups, as well as those affected by emergencies; it will also strengthen the legal and institutional framework to facilitate implementation and sustainability at the national and local levels. “Our administration has made it possible to increase food production with record harvests of basic cereals, guarantee affordable prices, raise the minimum wage and extend social protection programmes in order to boost families’ purchasing power,” the President added. Basic health coverage during the administration of President Sánchez Cerén has been improved and expanded, especially to children and pregnant women. Breastfeeding has been promoted and chronic malnutrition in children has been reduced. “As a result of these efforts, improvements have been observed in the growth of children born in the past 9 years, particularly in the past 7 years, according to the 4th National Height Census and the 1st National Weight Census for first-grade schoolchildren,” he added. Studies have also shown that children are an average of 1.8 cm higher than in 2007, which is directly linked to better nutrition for them. 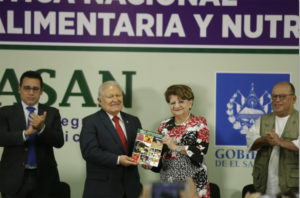 “The Food and Agriculture Organization of the United Nations (FAO) recently recognised El Salvador as one of three countries in Latin American with improved practices in their school feeding and health programmes, with access to healthy and nutritional food”, he stressed. Data from the Ministry of Education show that 1.2 million students receive meals at school while 72,000 receive snacks at school, with fruits, vegetables and eggs provided by local associations and producers. “There must be no more exclusion. It is time to move forward. Together let’s build a prosperous and decent country for everyone,” he urged.